You are here: News / Performing on Monday Night Football TONIGHT! Performing on Monday Night Football TONIGHT! 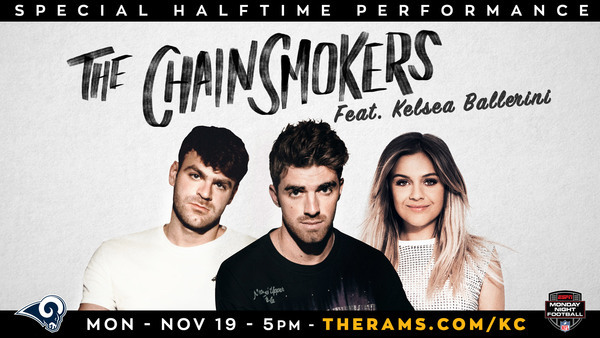 Kelsea and The Chainsmokers are joining Monday Night Football fans TONIGHT for a special halftime performance of “This Feeling” during the LA Rams vs. Kansas City Chiefs game. The game kicks off at 5:15 PT. Be sure to tune-in on ESPN!